Almost all the articles this writer submitted to this publication, Mayihlome News, have also been sent to other mainstream newspapers and were rejected with the exception of The Botswana Guardian newspaper. There are those articles which were first submitted to these mainstream newspapers, got rejected and then sent to this publication and were published. Perhaps editors of mainstream newspapers think the issues I raise in my personal capacity or as a member of the Pan Africanist Research Institute are too good to be true or are unbelievable. In this article, which is also going to be sent to other newspapers, this writer is going to write about the United Nations and the façade called democracy in the West. The UN was established by powerful individuals for their own interests and to create a new world economic, political and social order. 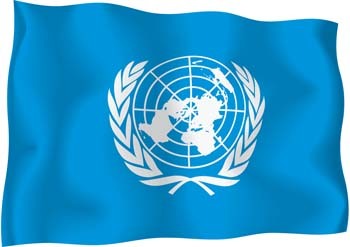 The UN is a global management system which is used to control our minds and undermine the sovereignty of other nations. The aim of the founders of the UN has been to control the global economy and mainstream media and to establish a uniform worldwide education system. Civil societies, businesses and churches have been used to achieve the objectives of the founders of the UN. It has been reported that in early 1942, six years before the World Council of Churches was formally launched, its organisers within the Federal Council of Churches [renamed National Council of Churches] held a National Study conference at Wesleyan University in Ohio. Among the 30 delegates were 15 bishops, seven seminary presidents, and eight college and university presidents. John Foster Dulles, who later became Secretary of State in the Eisenhower administration, chaired the conference. As head of the Federal Council’s inter-Church “Commission to Study the Bases of a Just and Durable Peace,” Dulles submitted the conference report. It recommended: a world government of delegated powers immediate limitations of national sovereignty, international control of all armies and navies, a universal system of money, worldwide freedom of immigration, a democratically controlled international bank and the even distribution of the world’s natural wealth. In one of my articles I differed with Professor Tinyiko Maluleke who portrayed the World Council of Churches as an independent body. I don’t have space to mention who John Foster Dulles is; readers can google for themselves what type of a character was instrumental in founding the World Council of Churches. All I can say is that the Dulles brothers, Allen Dulles and John Foster were bad news. They are associated with the Office of Strategic Services, the CIA’s predecessor, and the CIA itself. They masterminded the 1953 coup in Iran which toppled Mossadeq and the 1954 coup in Guatemala which toppled Arbenz Guzman. John Foster Dulles was Secretary of State and his brother Allen Welsh Dulles was director of the Central Intelligence Agency (CIA). John Foster Dulles was unwilling to cut off business relationship with the Nazis. That’s in a nutshell the background of the Dulles brothers for the reader. By the same token that is why I disagreed with Dr Xolela Mangcu when he suggested that American Presidents are held accountable by some institutions. Quite the contrary, in the US elected officials come and go but the unelected leaders behind the scenes continue their reign. The same applies to the European Union’s unelected commission. Just like the US Congress, the EU parliament is designed to create an illusion of accountable democracy. An Anglophile network was set up in 1914 after the First World War which led to the establishment of the League of Nations, the United Nations’ forerunner, in 1919. Front organizations were set up and one such organization is the Royal Institute of International Affairs (RIIA) in Great Britain. In New York, it is known as the Council on Foreign Relations (CFR) and it was a front for Morgan and Company. In South Africa there is the South African Institute of International Affairs. Banks and tax-exempt foundations were essential to this global vision. That is why a Canadian activist in the 1990’s, Glen Kealey, said the United Nations was created by bankers for banks. The UN is used to collect debts on behalf of these international bankers and it has nothing to do with world peace. In fact, the UN (and its founders) has created many wars than it has made peace. The two world wars were deliberately created to first establish the League of Nations and then the United Nations. This is a transparent scheme. The UN is now using the North Atlantic Treaty Organisation (NATO), a western military alliance, to achieve its nefarious objectives. We have seen what they have done in Libya, Iraq and many other developing countries. African students should know and understand the UN for what it is and not what it is made out to be by propagandists.